Eddie Lampert's $4.4 billion offer was Sears' only shot at staying alive and preserving 55,000 jobs. But the bid ultimately came up short. Game over. It was a good run while it lasted. I was able to accumulate enough 13 gallon kitchen trash bags, toilet paper, Ajax dish washing liquid, bar soap. and storage bags, among other things, for the next 7-10 years thanks to the 100% back SYW deals. In a real way, Sears’ demise is kind of sad. They had a 125 fabled history. They went from being the pioneers and King of mail order and modern retailing to bankruptcy and liquidation in 2018 and 2019. If you are interested in watching the histories of Sears and/or K-Mart, there are a lot of interesting videos on You Tube.Many people may think it was Sears who acquired Kmart, but in actuality it was Kmart that acquired Sears (in 2004). 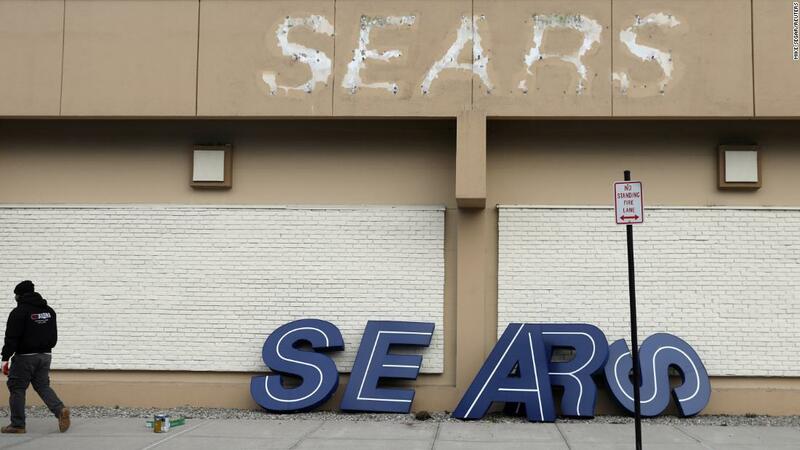 Before 1990 Sears and Kmart were the two largest retailers in the United States and the fact they were even allowed to merge without government intervention in 2004 speaks to their decline in those 14 years. I have one last online order to pick up in store today. I placed it yesterday and got an email yesterday that it was ready to pick up. Hopefully with the bankruptcy it will still be available to pick up (I used a $15 off $15 coupon on it, just in time I might add). According to yesterday’s CNBC story they already have a liquidator chosen, so I could only imagine that liquidation sales could start as early as tomorrow (Wednesday) morning. @mrvietnam That Brady Bunch clip is a hoot! Yes, the music is finally stopping now–and me with $0.41 in points! where do you see about closing all stores? The article was updated to include that Lampert would be able to change his bid. It’s still in flux at the moment. Eddie Lampert’s $4.4 billion offer was the only bid that could keep the company going in its entirety. ESL plans to contest Sears’ decision, pointing to the money its spent on advisors. Sears reached an 11th-hour deal Tuesday to remain open -- at least for now. You know me! I was in FatWallet, when it existed. I used to live in Central NJ, but I sold my House in September 2018, and m oved to California to be with my family. I live in Walnut Creek, Rossmoor, now. Its an Adult Community. I have 3 little Grandkids with my son and his wife in Berkeley. 15 miles away, from Rossmoor. In a real way, Sears’ demise is kind of sad. They had a 125 fabled history. They went from being the pioneers and King of mail order and modern retailing to bankruptcy and liquidation in 2018 and 3019. With this kind of financial support, I’m surprised they were struggling. A question for the Sears aficionados. What is gonna happen to the Sears Hometown stores? Nothing. They are independently owned franchises. Owner of my Hometown store said that over recent years they’ve been negotiating their own supplier contracts-- eg they carry Husquvarna and other brands you don’t find in corporately owned stores. Only question for him is who will be providing Craftsman products. Note 1: Click "Follow Link"
@lo Death by a thousand cuts. @mistercheap It’s not over until the fat lady sings. This is hilarious (and sad) in its ridiculousness. I remember advising a young colleague circa 2011-ish to reconsider buying a new set of 4 tires from Sears because it looked like they were “finally” going bankrupt (after years of rumors) and may not be around long enough to service her tires. Nothing surprises me with them anymore. Very true. It’s like a company that refuses to die even though they are not relevant anymore and most of their former customers haved moved on long ago. in this case, the fat lady is in a vegetative state. sort of what’s the point. they’ve killed the brand. @mistercheap Kenmore tie tack with logo "Solid as Sears"
Come to think of it, the glory days for both Sears and tie tacks were about the same era. What about the stores that started blowing out all of their product (and employees)? Are they staying open now? @ctgolfer Are you asking about the stores that have already been announced to be closing? (Should be 80-something at this point - the first 182 since the filing should have already closed, and the 80 most recently announced are closing in March - plus there have been a handful of additional stealth closings since.) No, closed and closing stores are not staying open; they will still be closed on the previously announced timelines. If that was merely commentary on the fact that Sears has been advertising their deals since the New Year as a “blowout sale” and reducing associate hours as expected since the holidays, then yes, most of the existing open stores will remain open for now - should number 425 of them minus the few recent stealth closures. In a controversial move, a bankruptcy judge approved the $5.2 billion sale of most of Sears’ assets to the hedge fund controlled by Sears’ chairman and former CEO, Eddie Lampert. This keeps 425 stores open and saves 45,00 jobs. Sears’ last profitable year was in 2010… since then it has lost $12 billion. Creditors are now expected to get only a pittance of the $3 billion owed. The judge scolded Lampert to make substantive changes going forward instead of being a stereotypical robber baron. Bankruptcy court rejects argument of creditors who wanted to shut 133-year old retailer, agrees to sale of company to its chairman.